UGC Net 2018 notification: CBSE National eligibility Test, Eligibility, marks, Selection process, exam pattern syllabus etc. UGC Admit card, results, cutt of marks, application process,exam date etc. exam dates: 18th -22nd December 2018. FROM december 2018 onward UGC net conducted by NTA. Eligibility: 55% marks in PG / master Degree in UGC recognised universities, 50% for SC,ST and OBC Non-Creamy layer. FIll the application form -> Application Number and password set a security question. General 800, OBC 400, SC/ST 200. Visit UGC NET 2018 Official portal, https://ntanet.nic.in/ntanet/root/LoginPage.aspx. 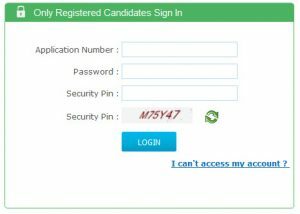 ntanet.nic.in admit card Download by Application Number & password. Download by Name & date of Birth. After login to the CBSEnet.ac.in, download the admit card and check exam details. CBSE NET Phone Numbers – 7042399520, 7042399521, 7042399524, 7042399525, 7042399526, 7042399528, 7042399529. UGC NET 2018 Admit Card released on 19th November 2018. Someone who qualifies for Assistant professor many not eligible for JRF it depends on Marks in the UGC Net exam. most of the cases candidate may eligible both type of posts. follow the all India Teaching/faculty jobs. NOTE: paper 3 discontinued from 2018. UGC NET syllabus available on the official website of UGC at ugc.ac.in. NET is conducted by CBSE in 84 subjects. New Age limit for UGC NET 2018. Increased from 28 to 30 years.